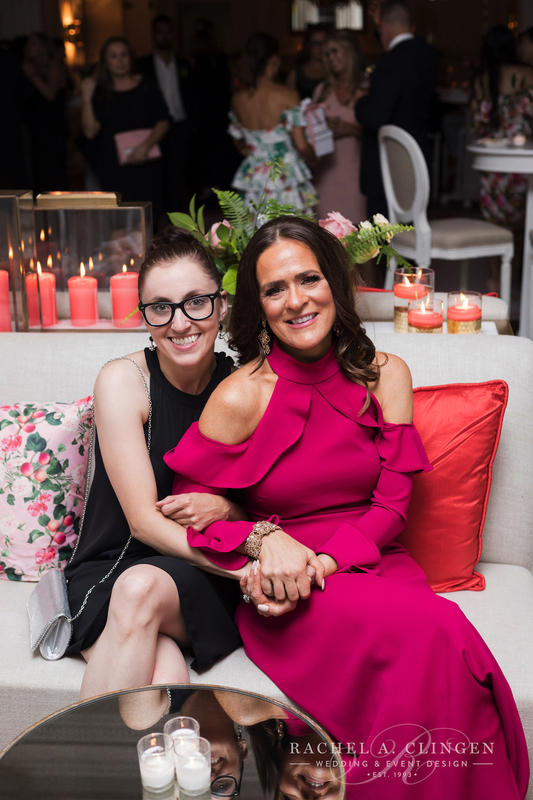 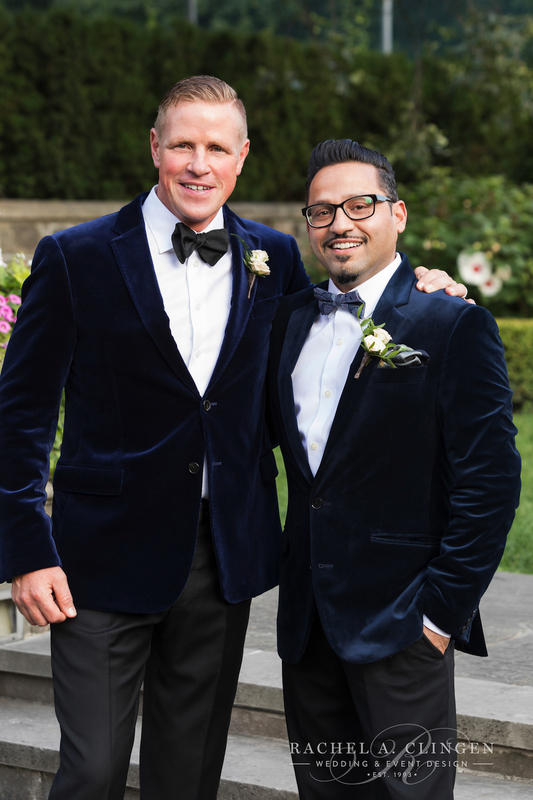 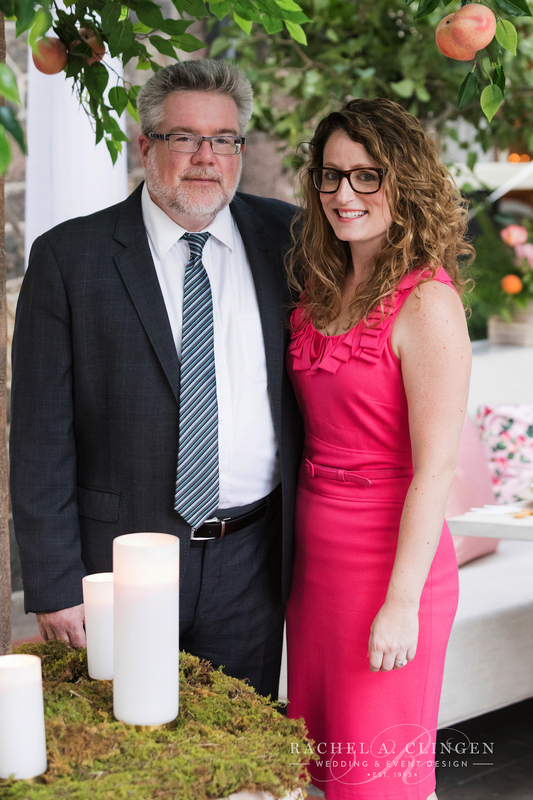 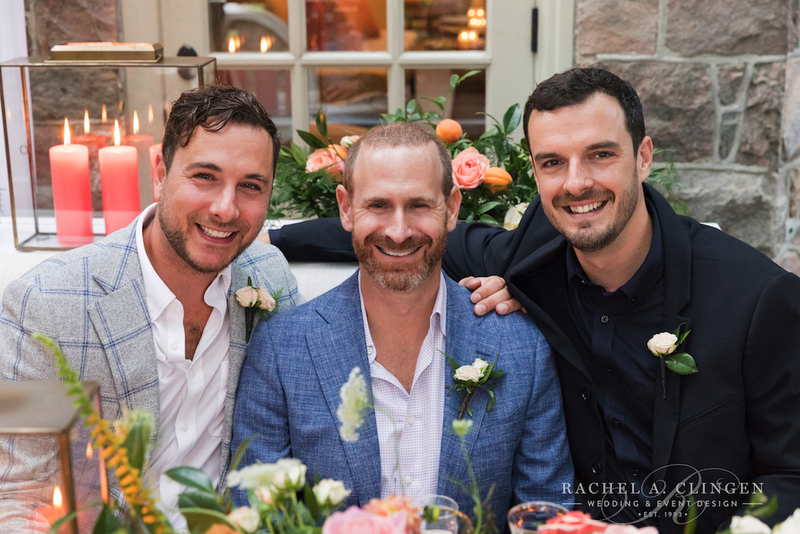 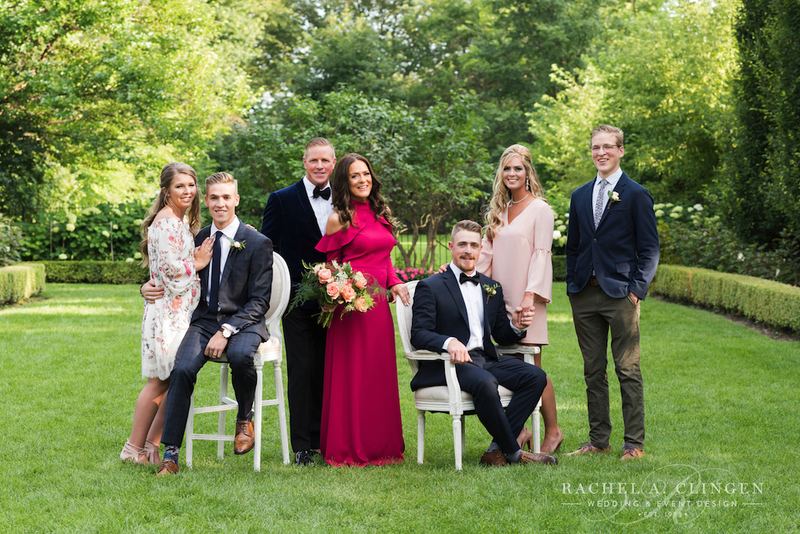 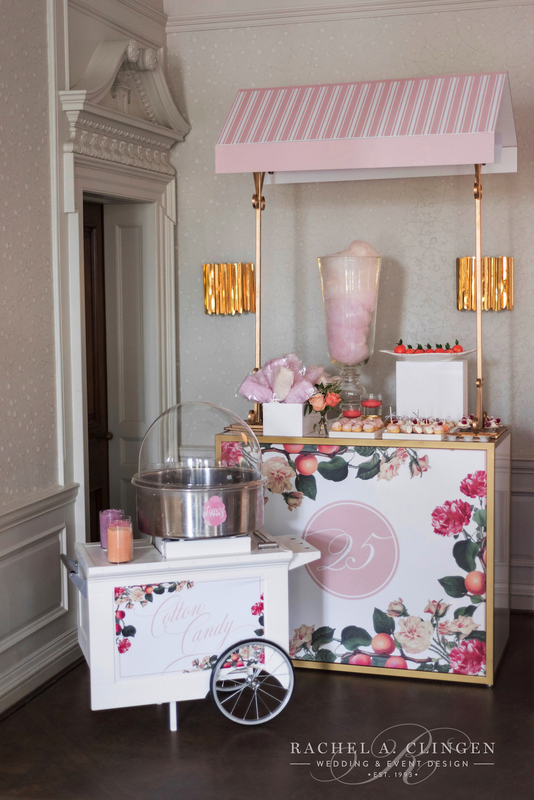 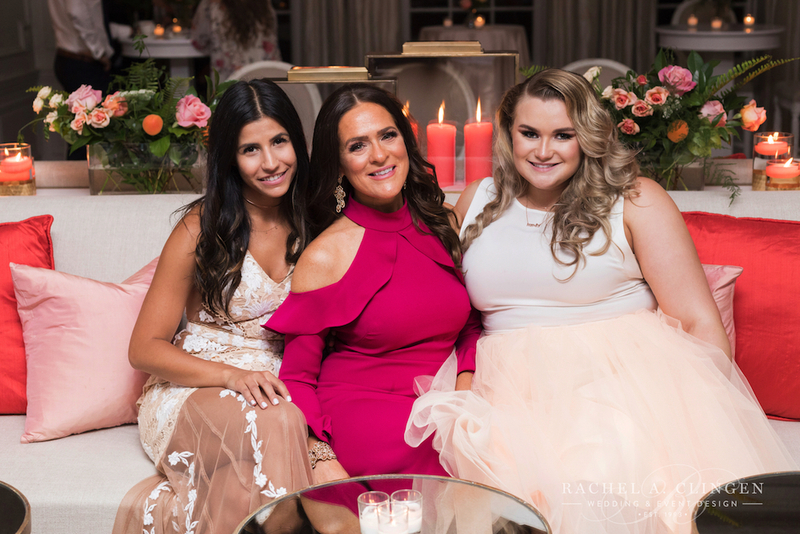 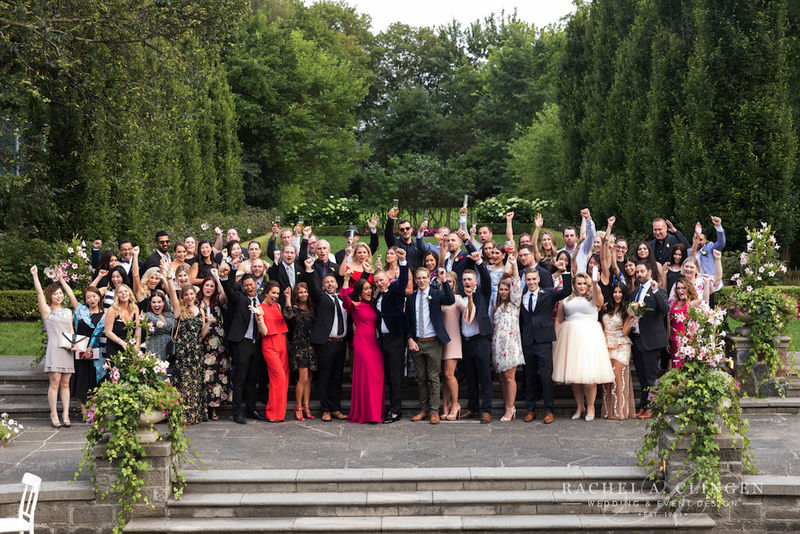 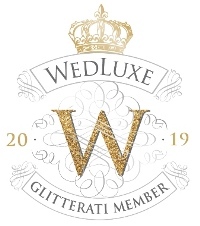 On a hot summer day in August David and I celebrated the 25th anniversary of Rachel A. Clingen Wedding & Event Design with many of our Toronto wedding industry friends and staff, that have in one way or another, contributed to the success of our little company over the years. 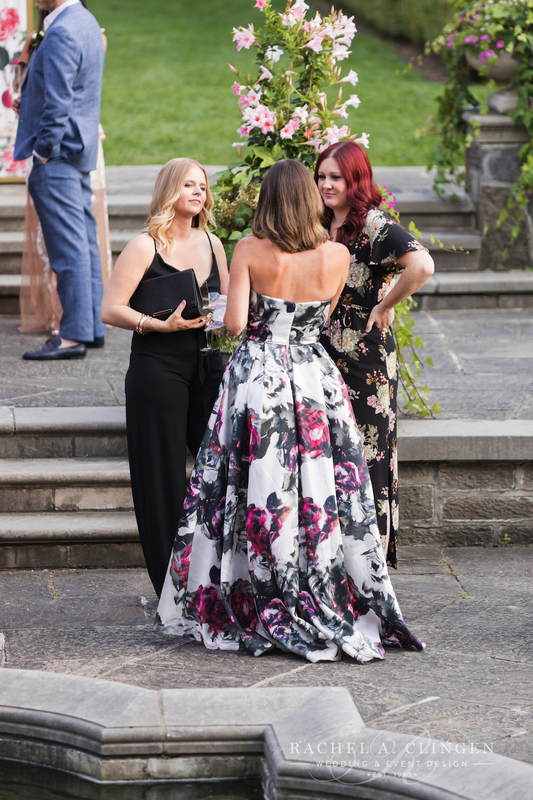 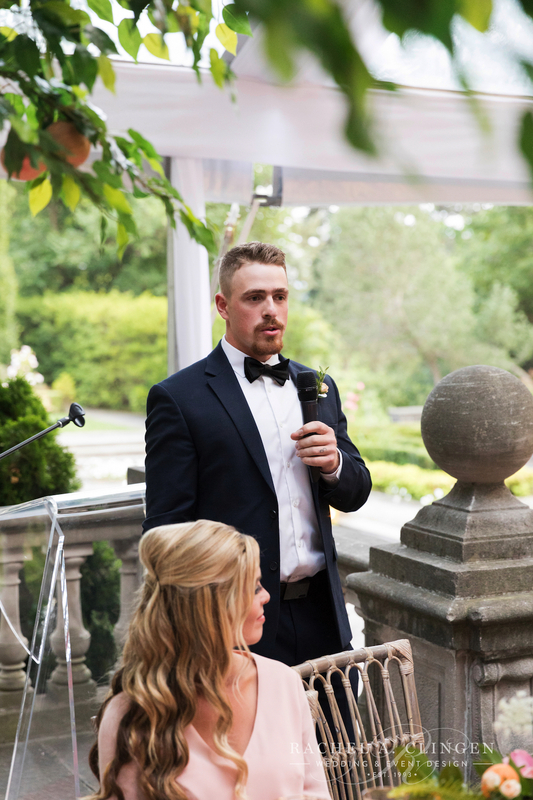 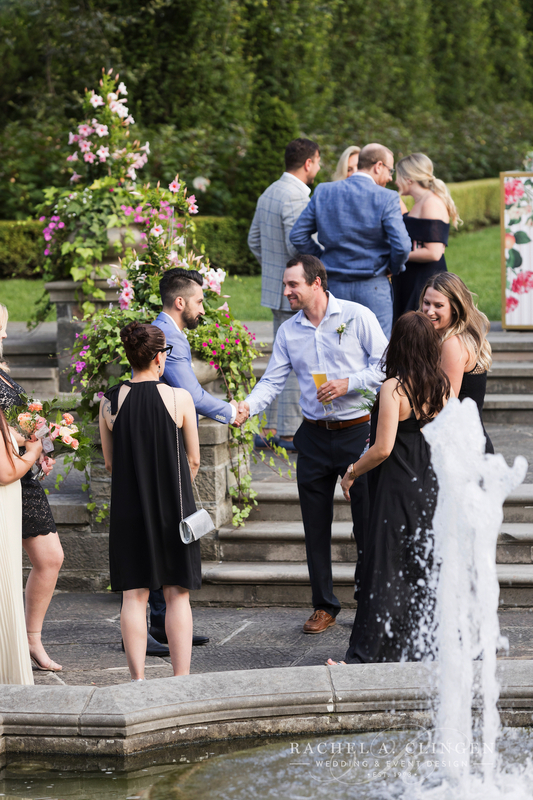 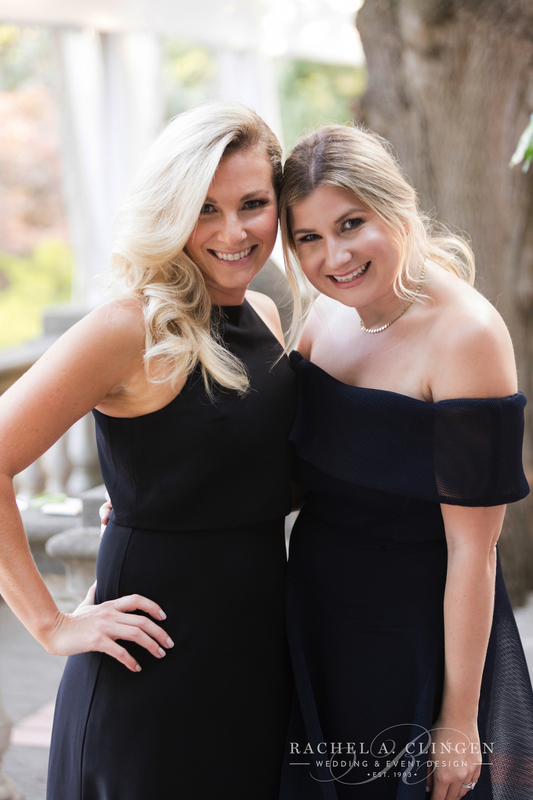 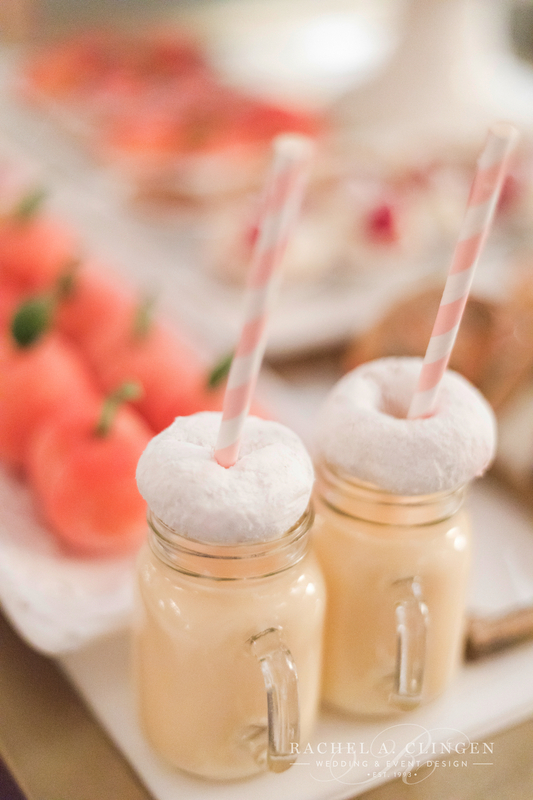 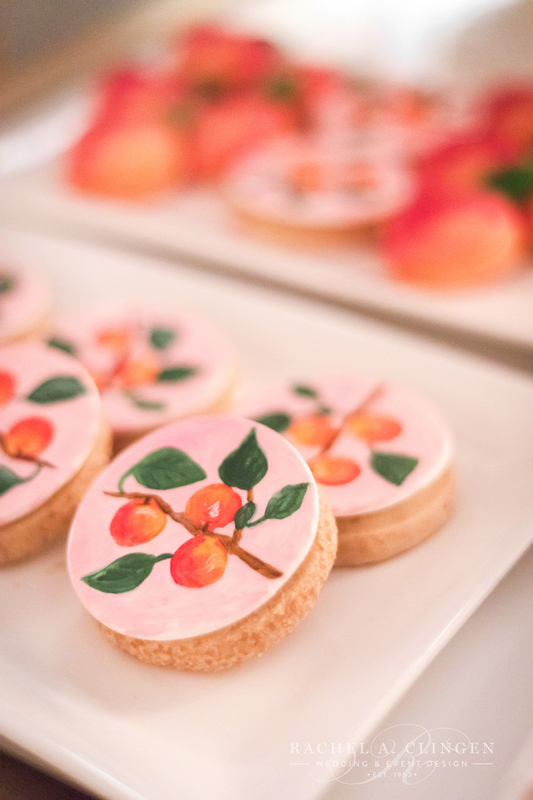 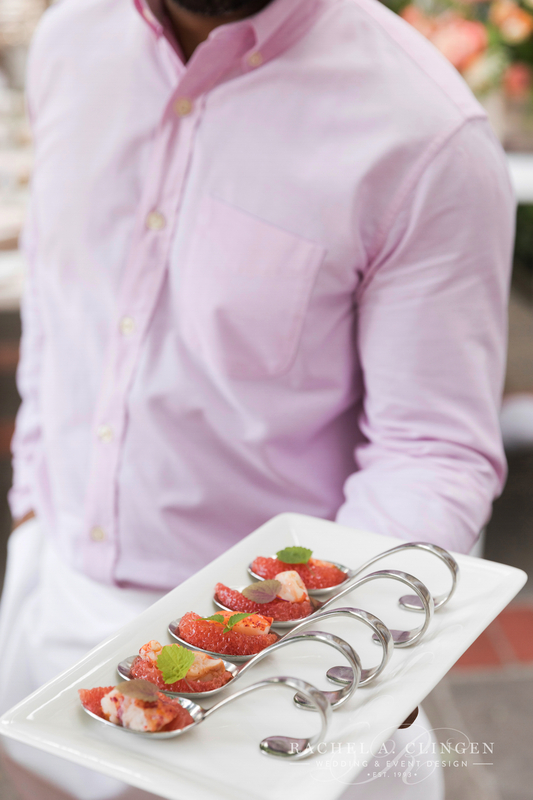 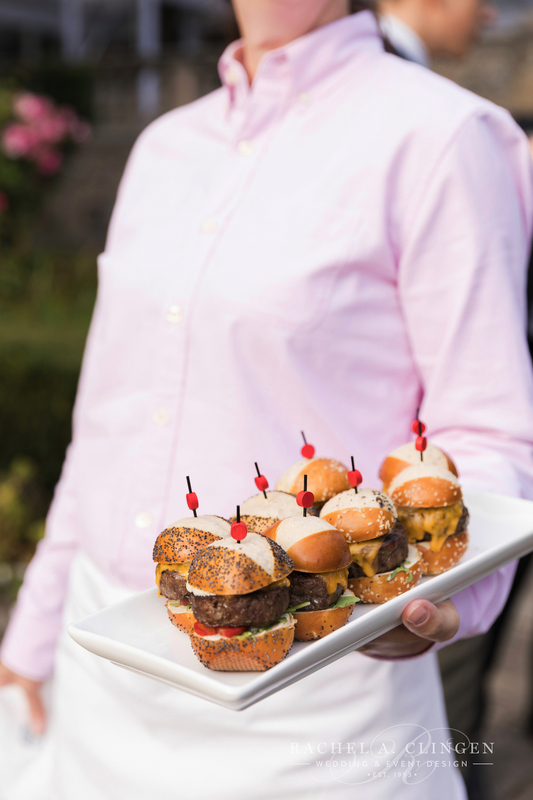 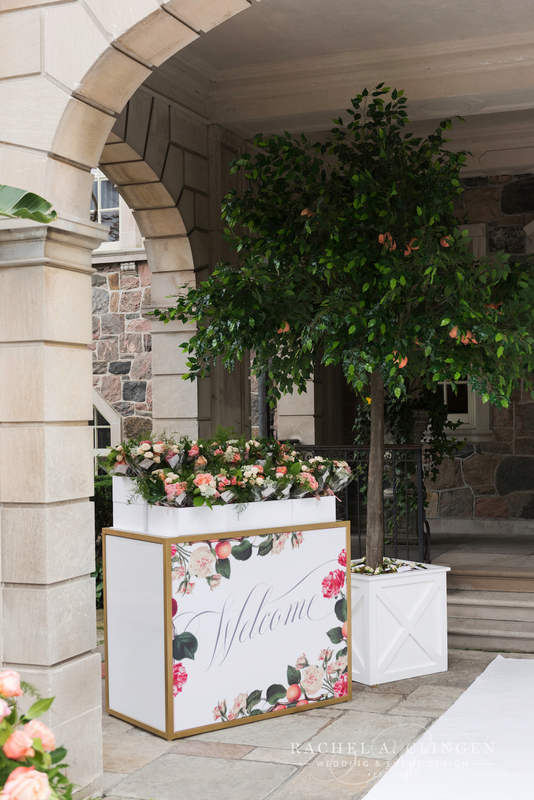 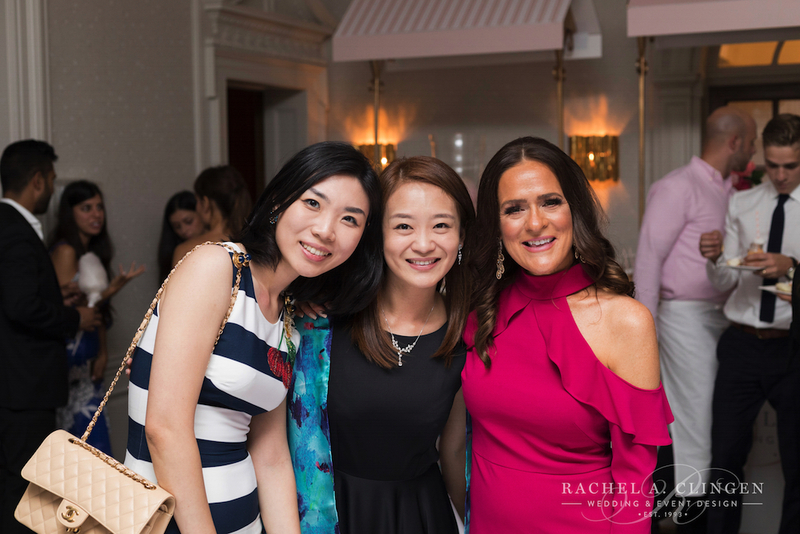 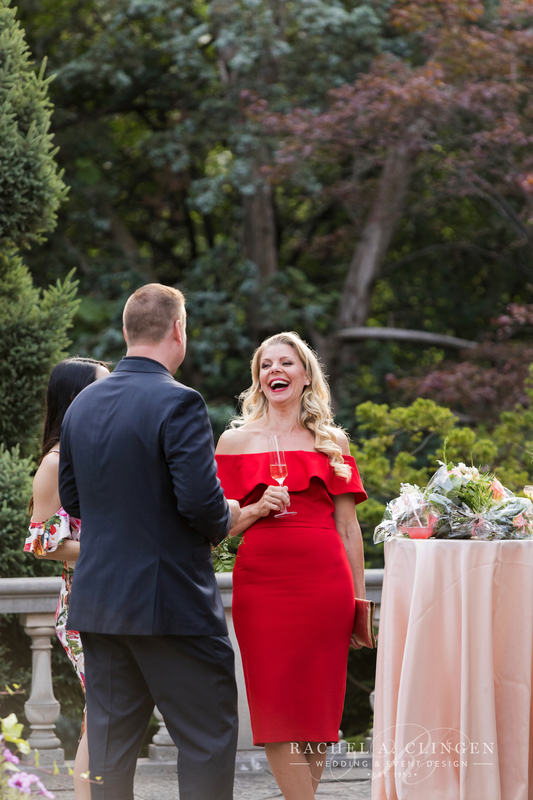 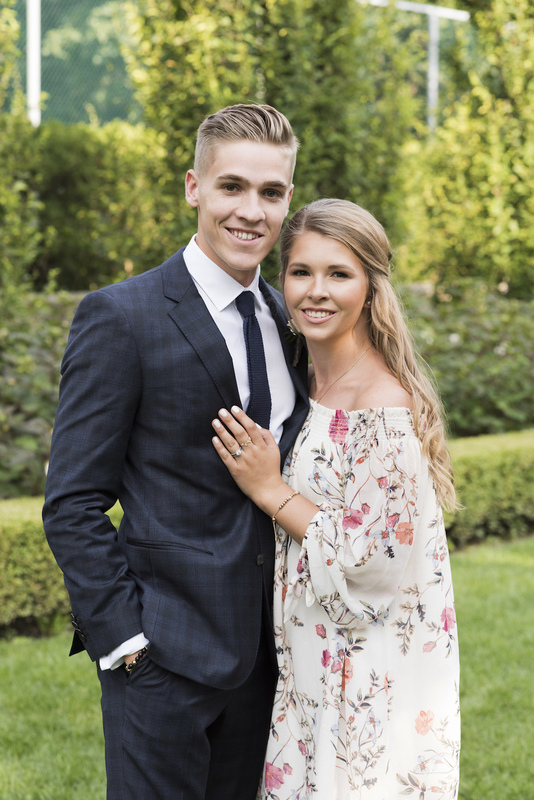 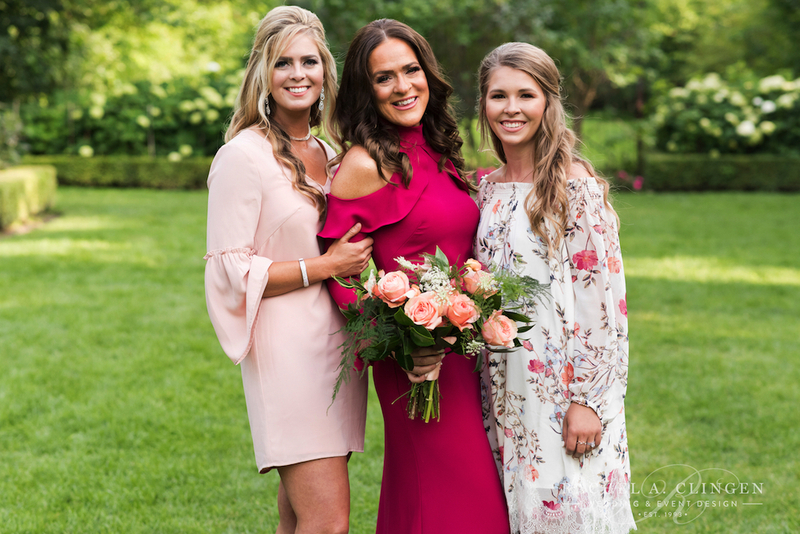 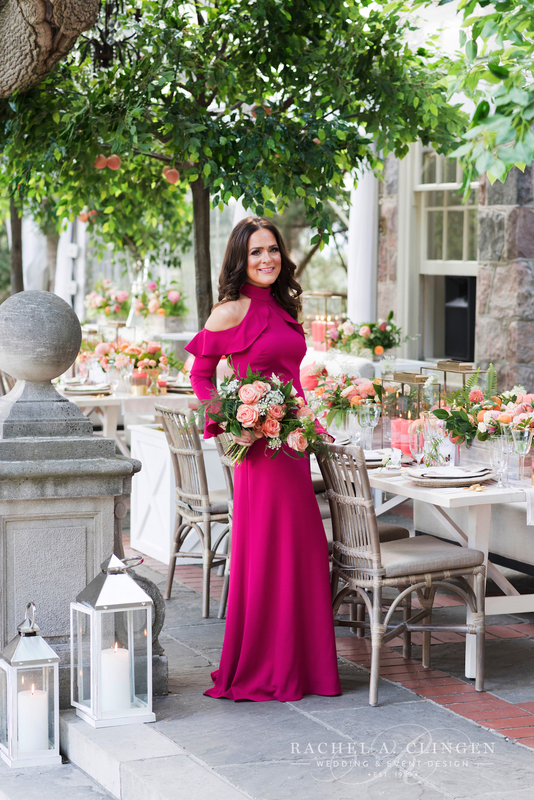 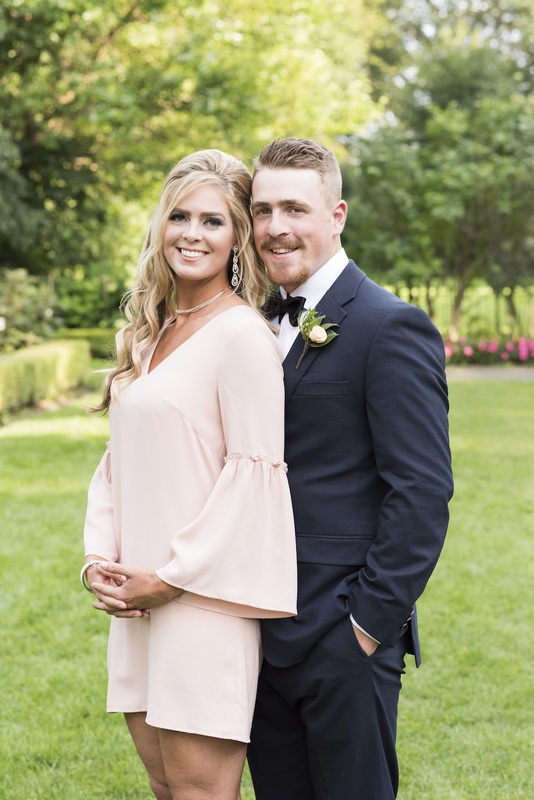 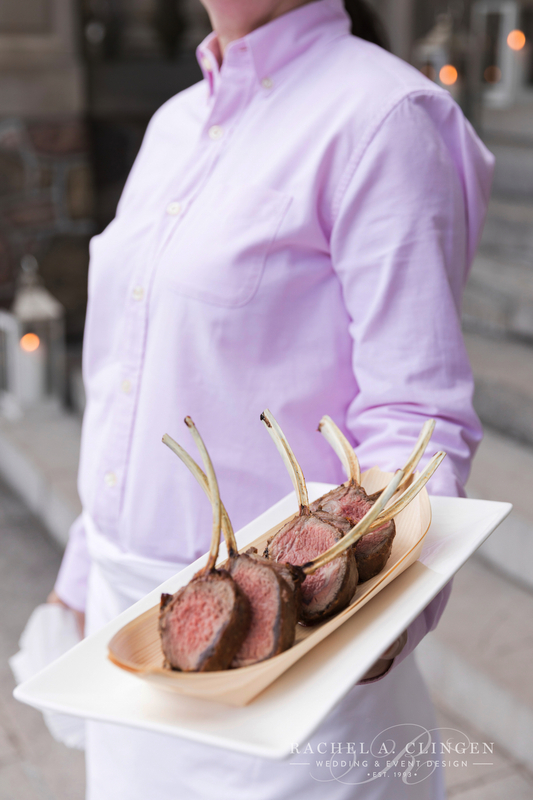 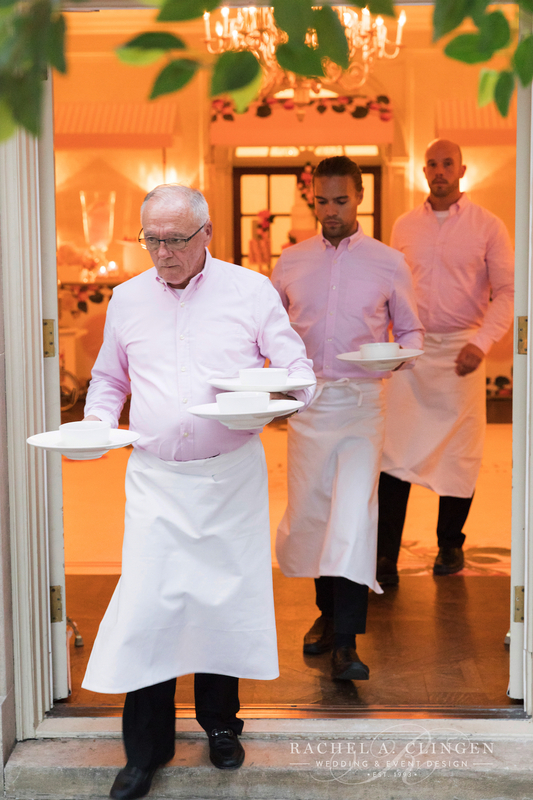 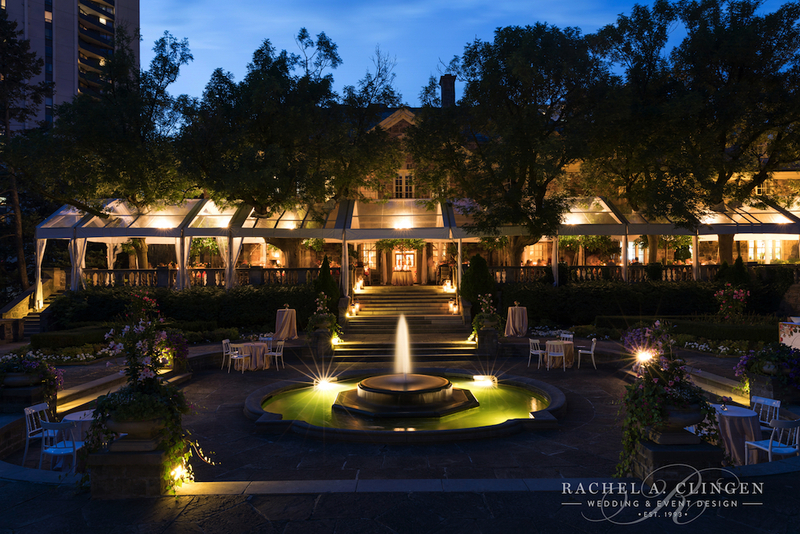 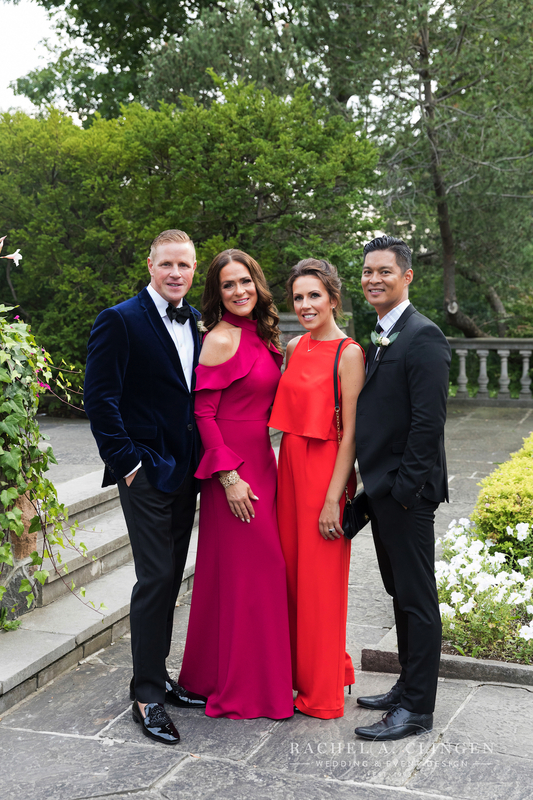 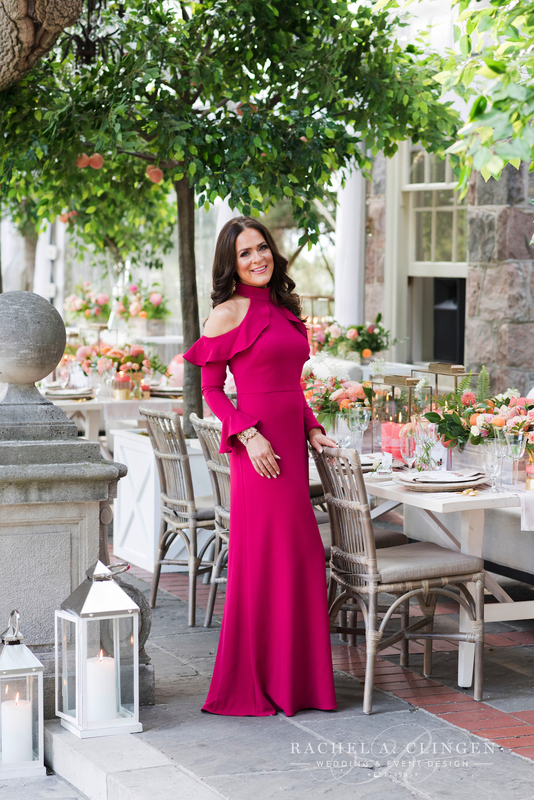 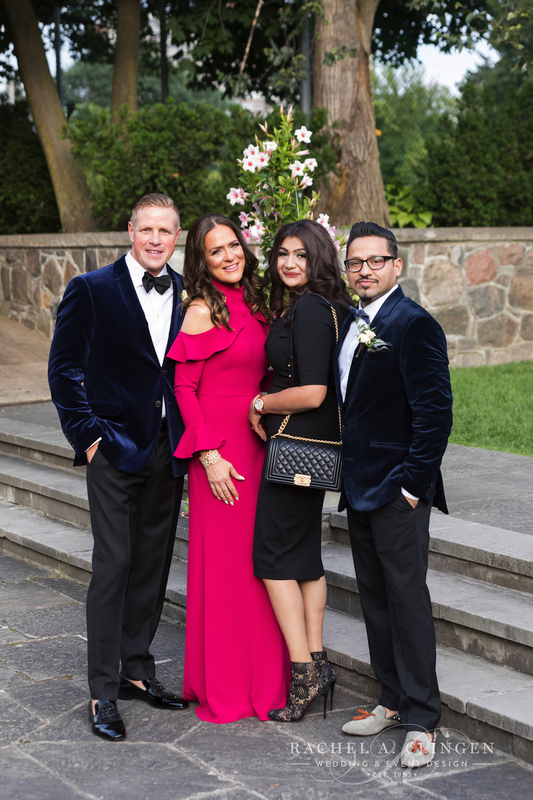 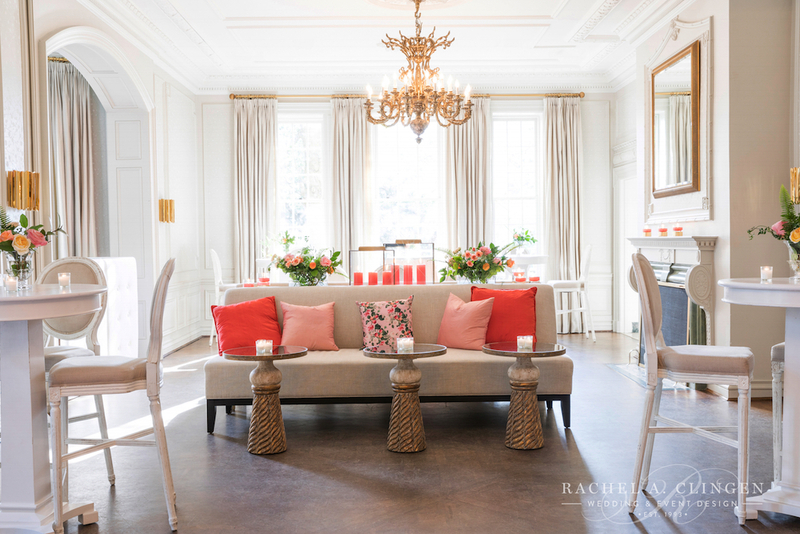 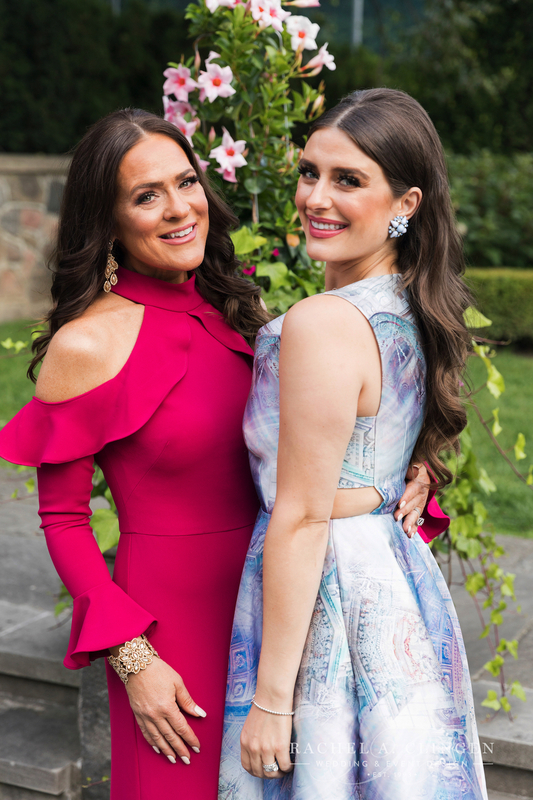 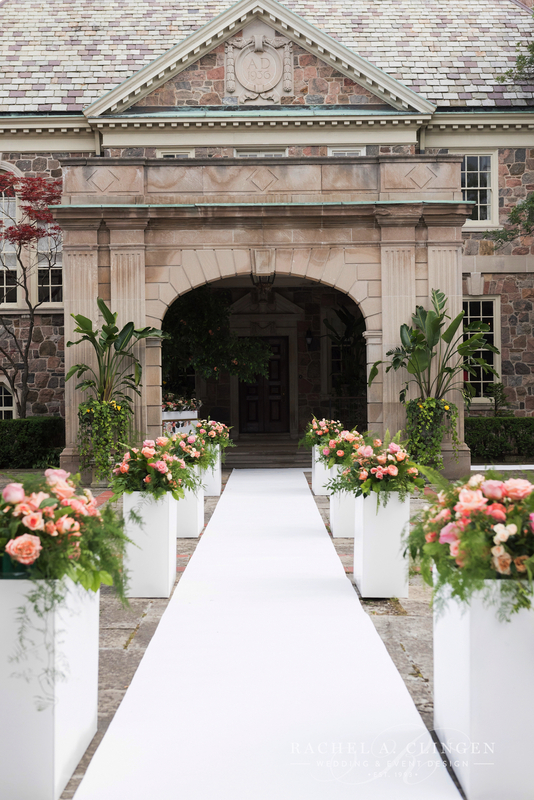 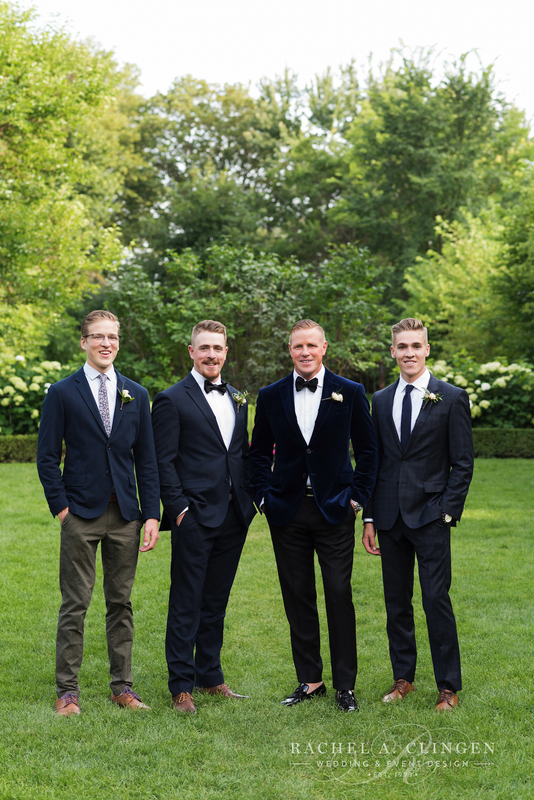 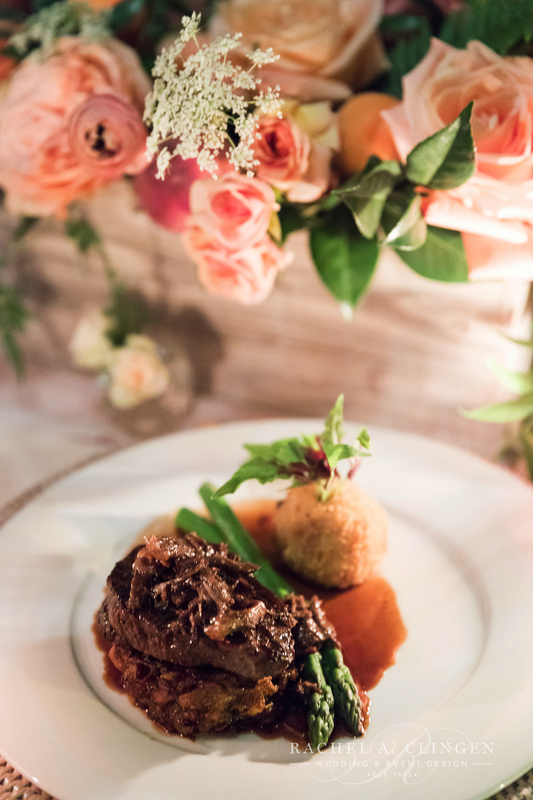 The summer soiree was hosted at beautiful Graydon Hall, who’s service and food was second to none. 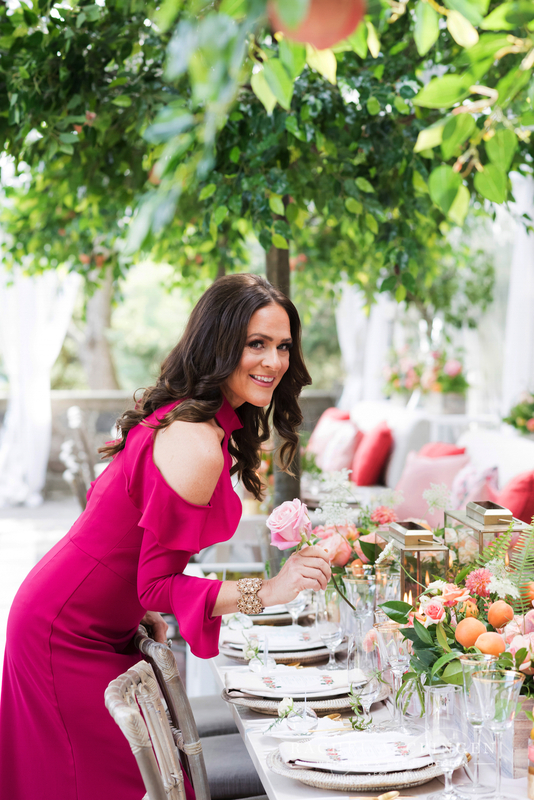 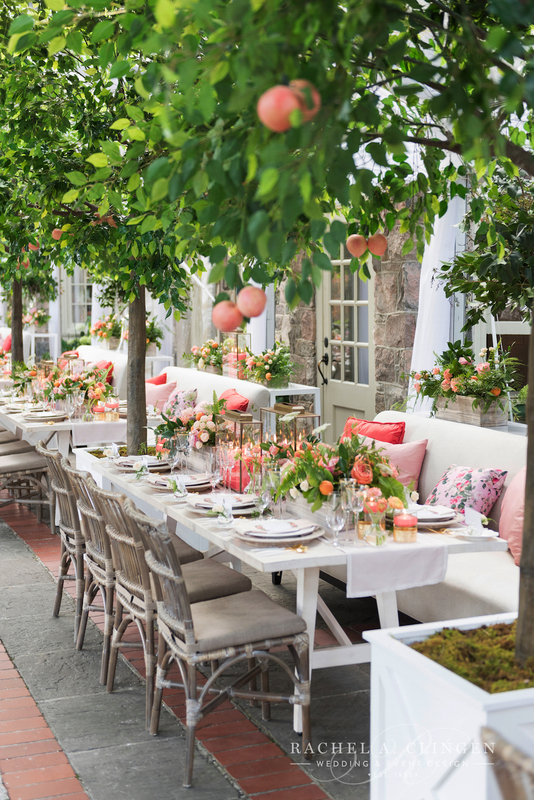 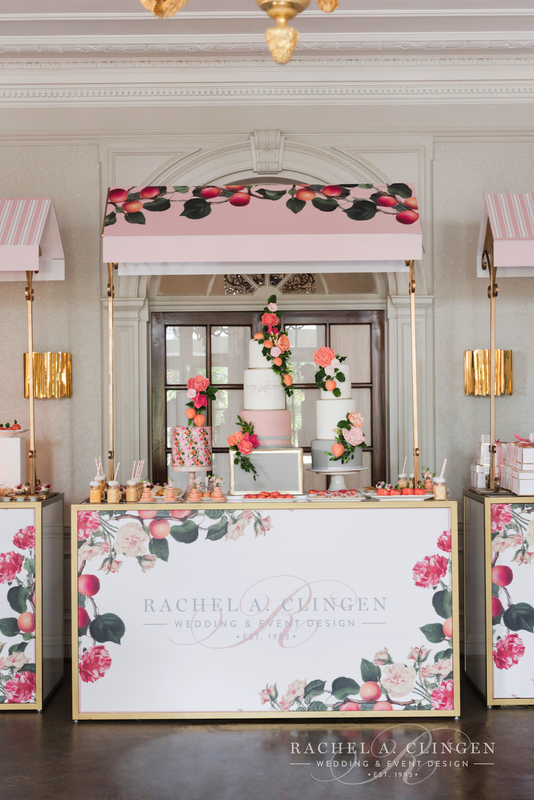 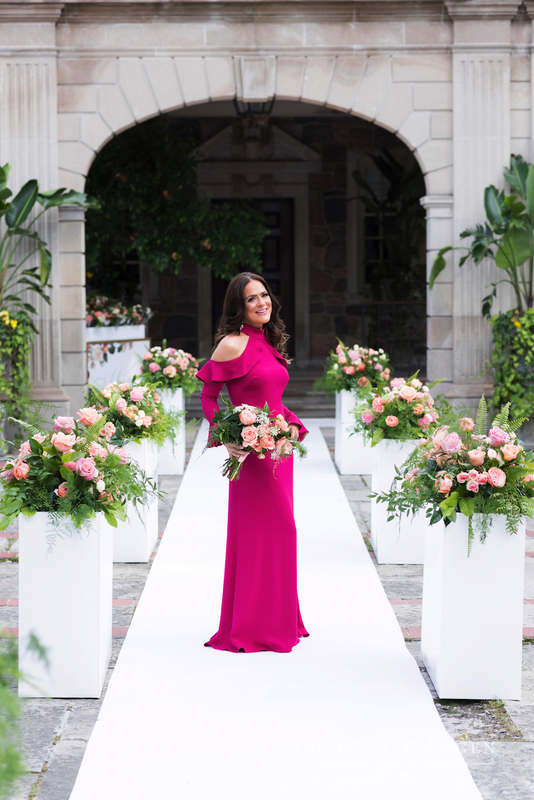 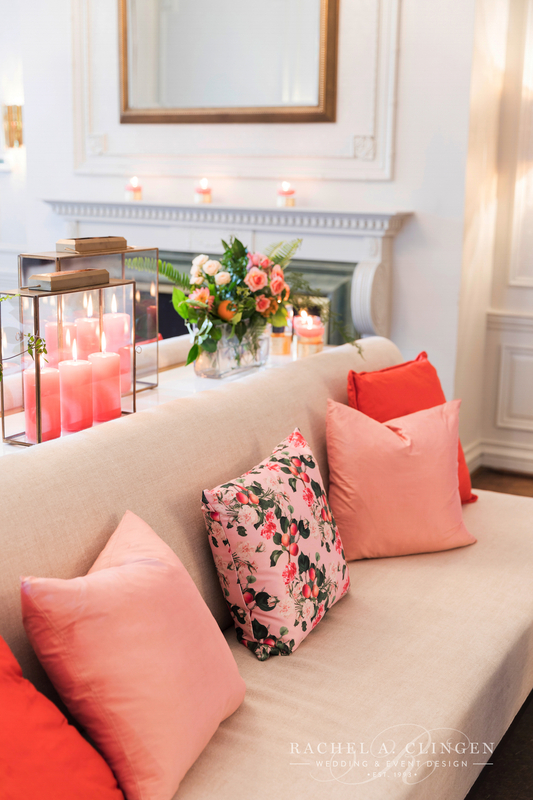 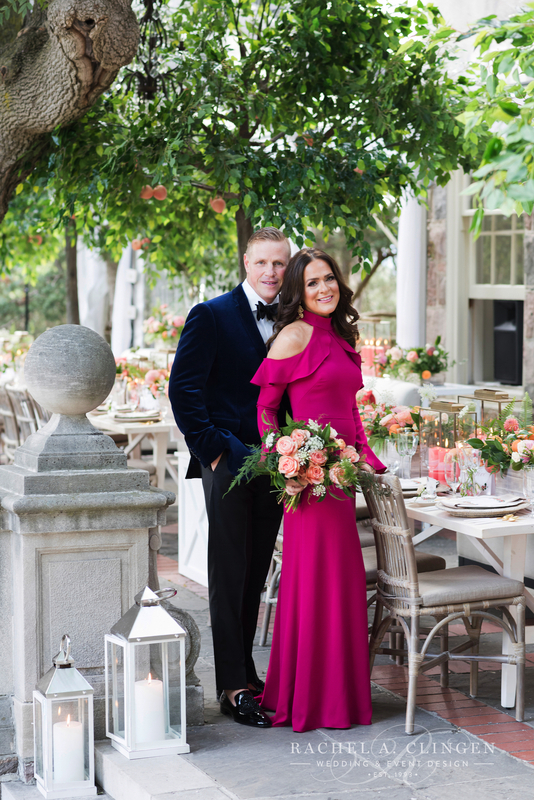 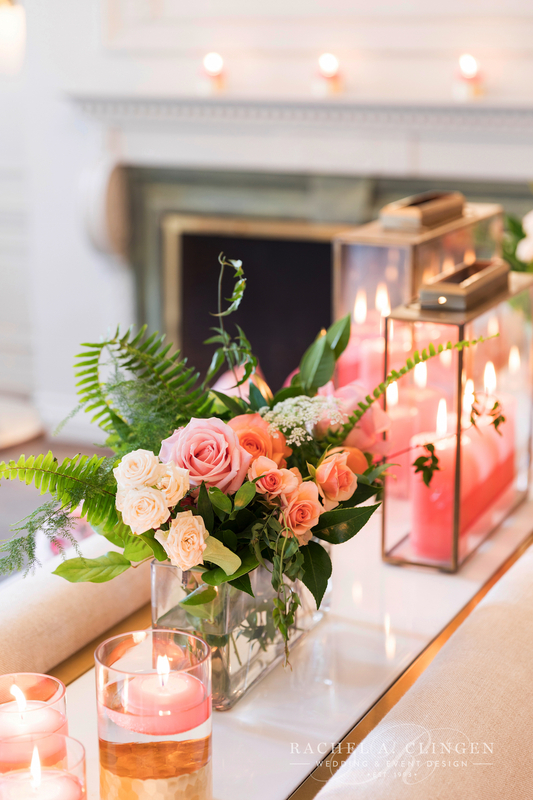 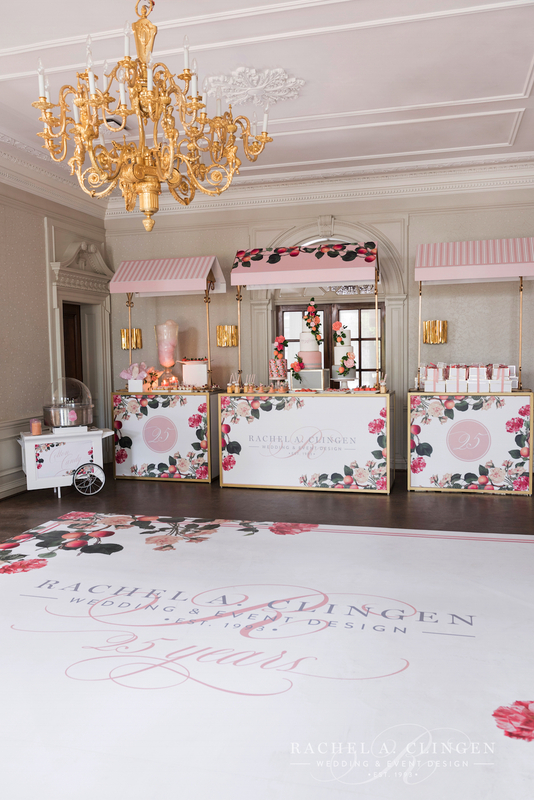 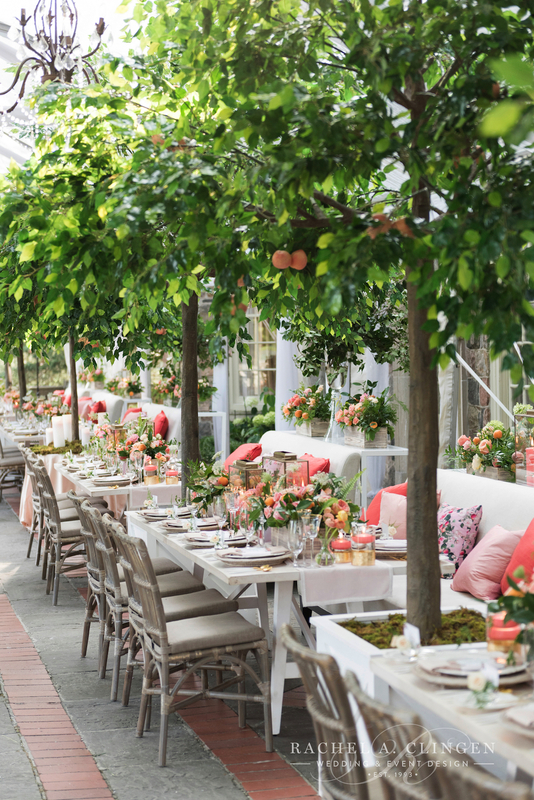 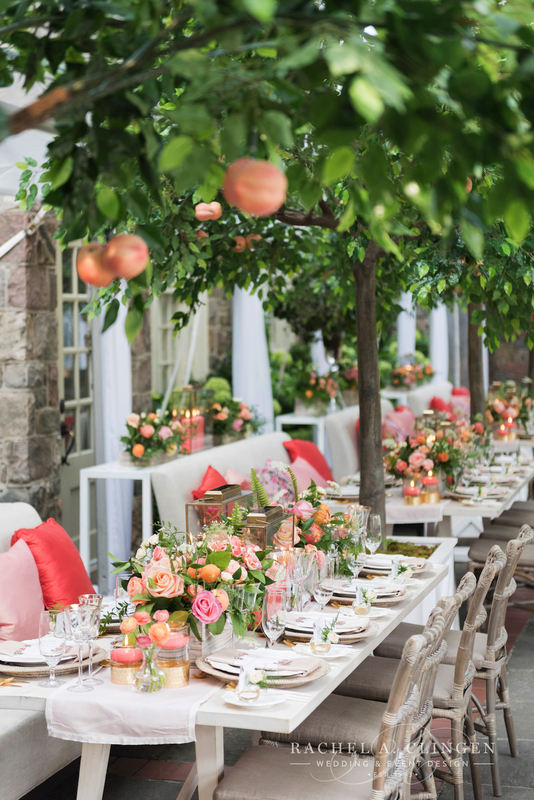 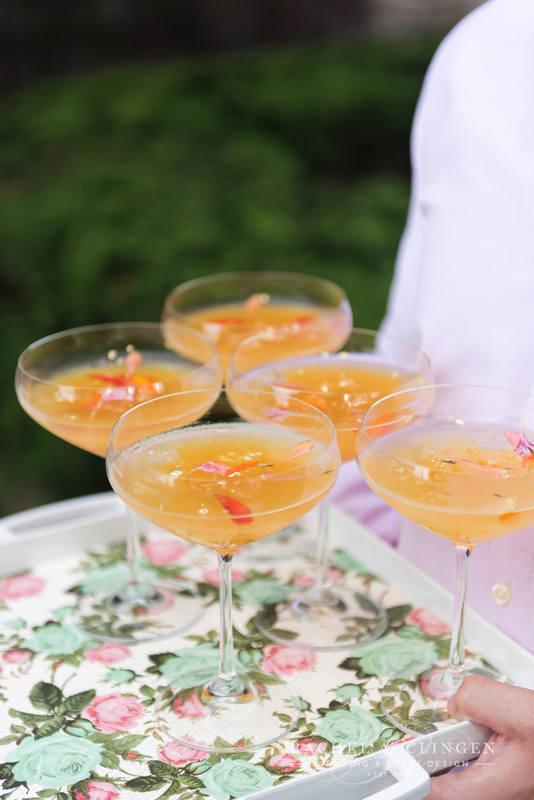 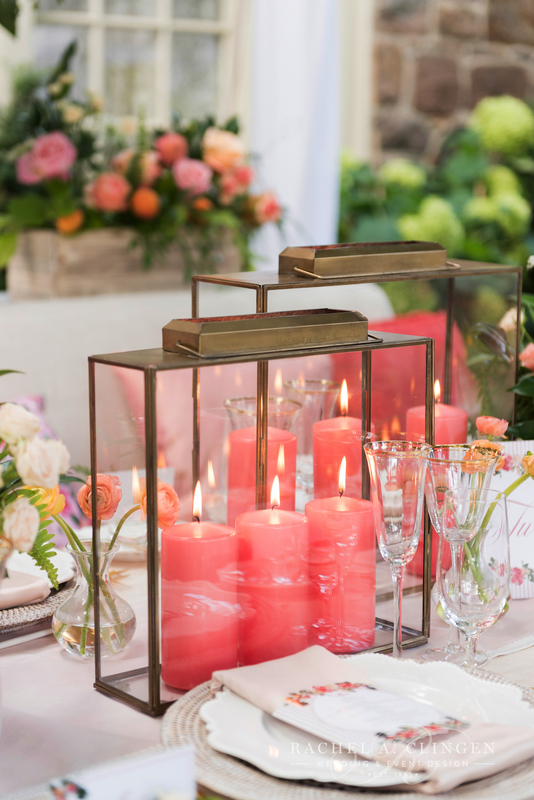 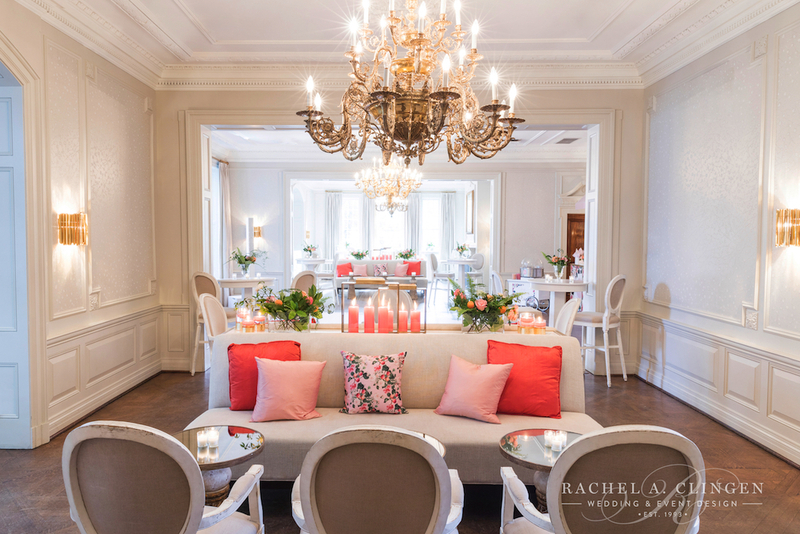 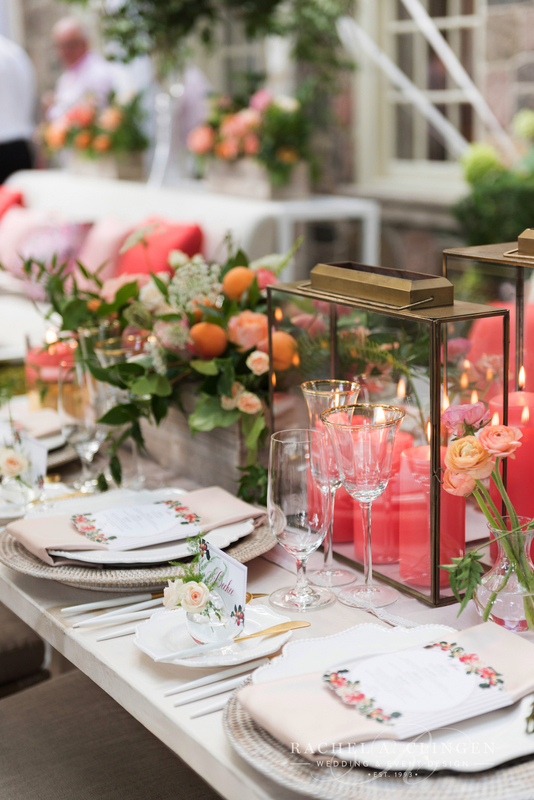 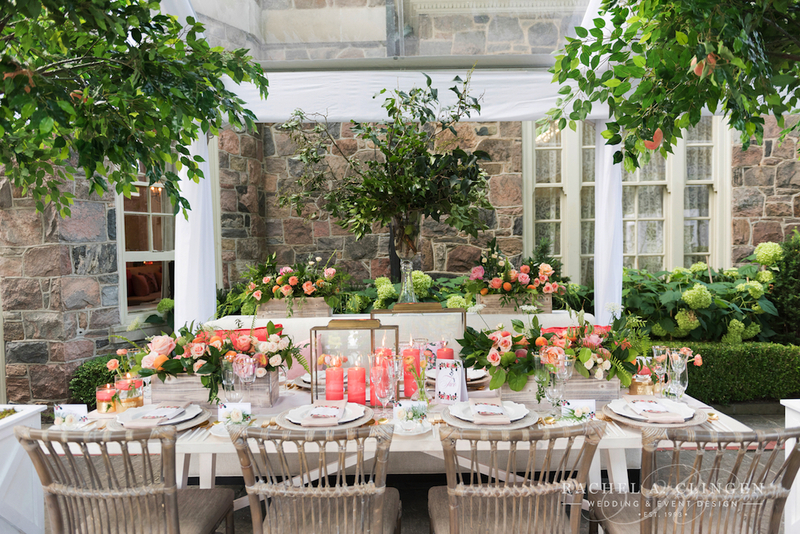 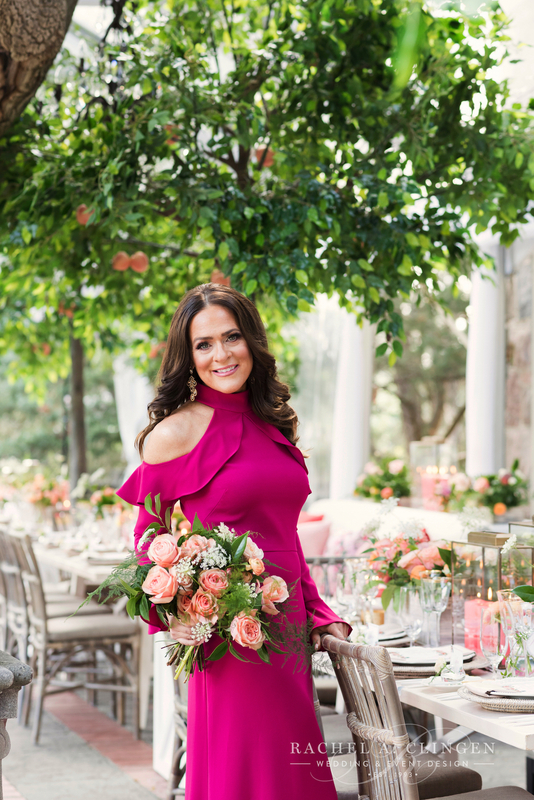 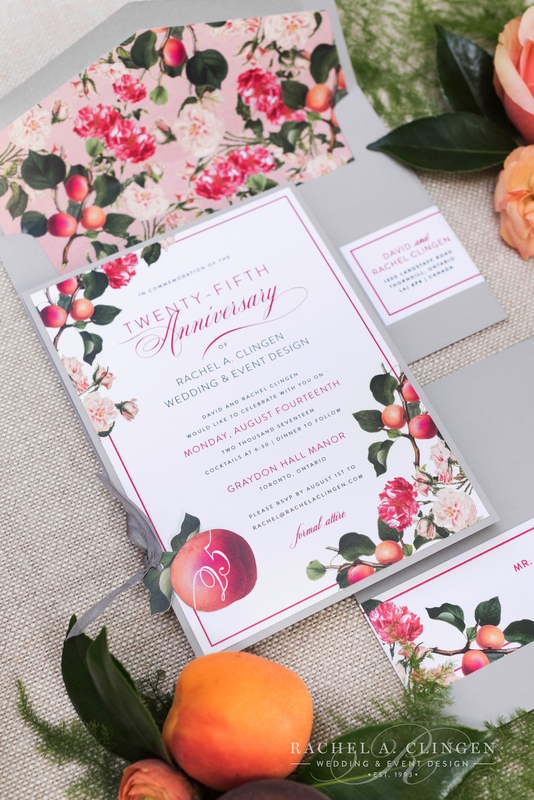 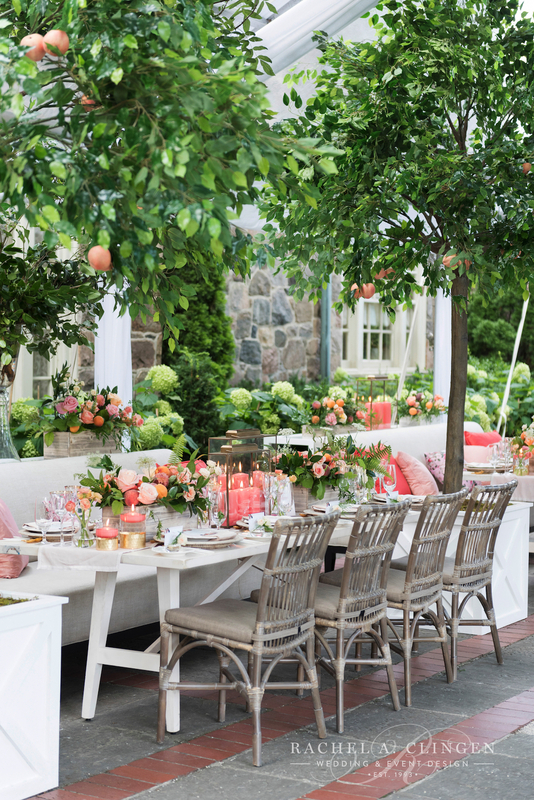 Our team transformed the terrace into a floral infused peach grove. 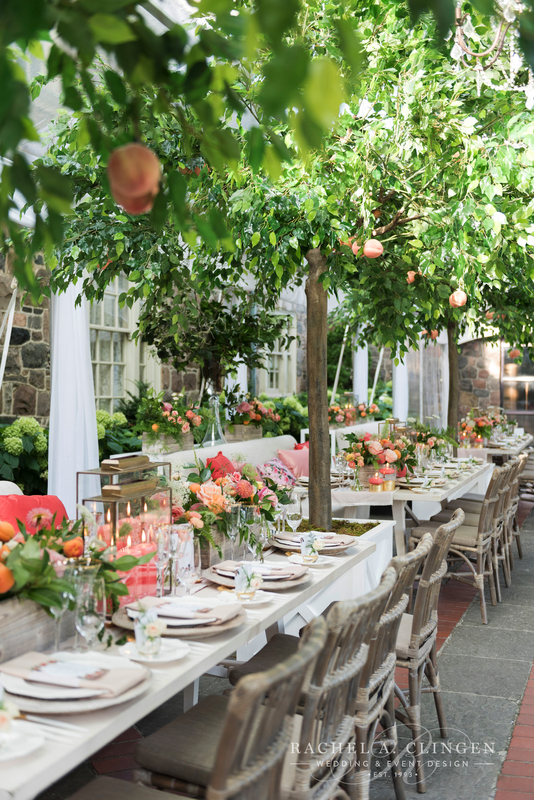 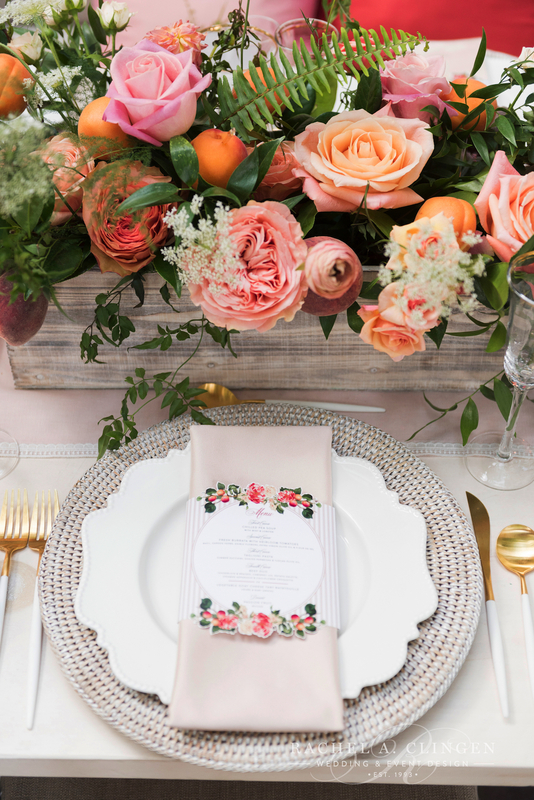 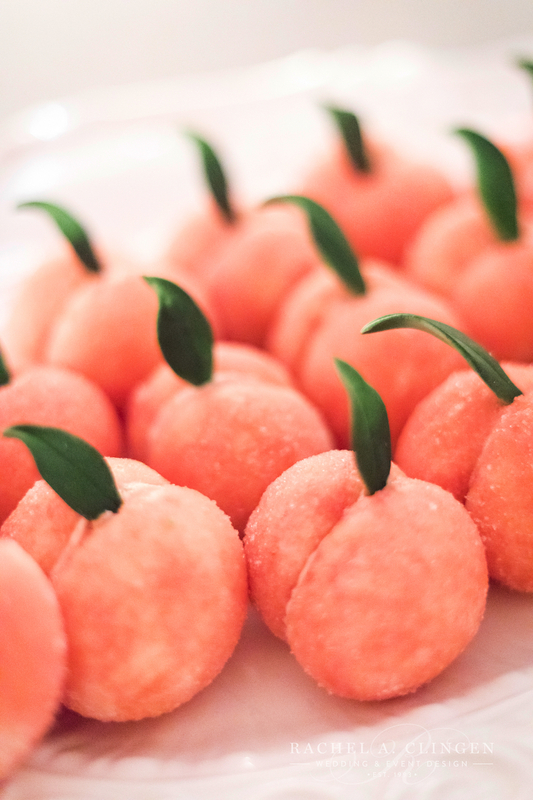 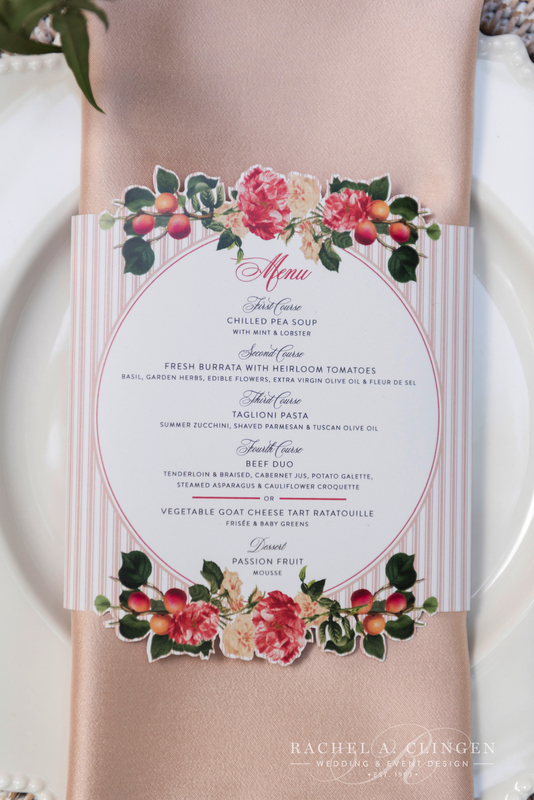 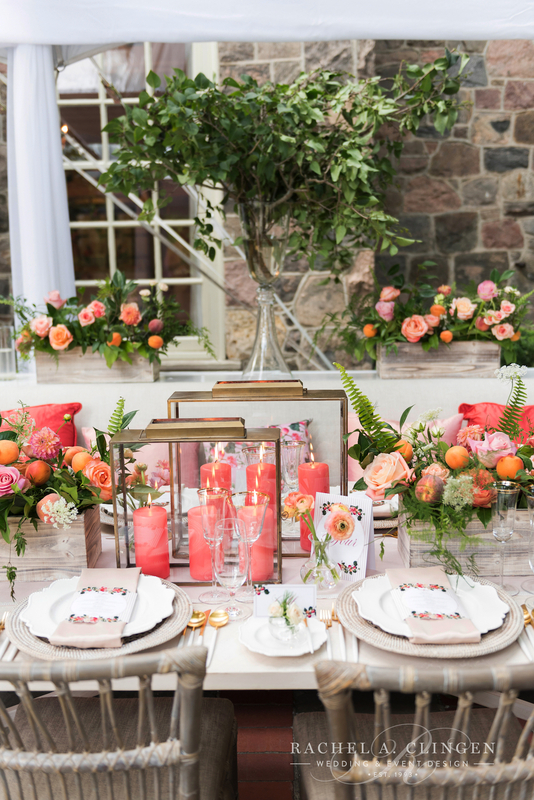 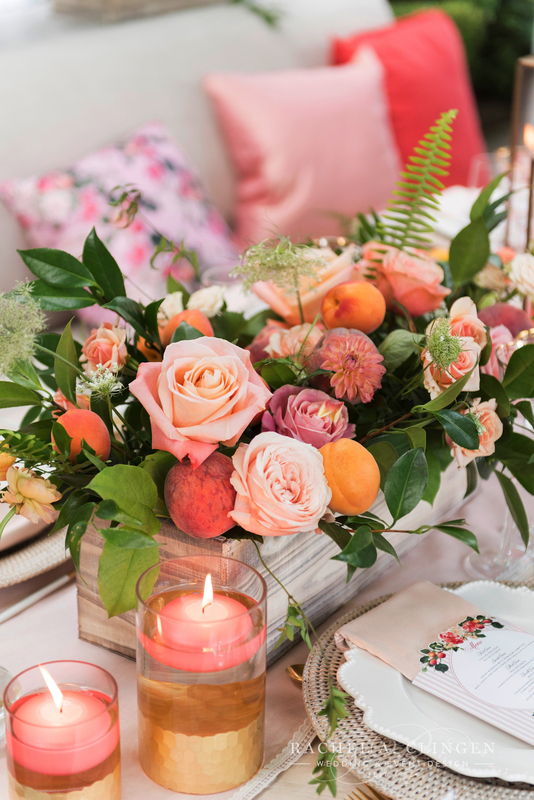 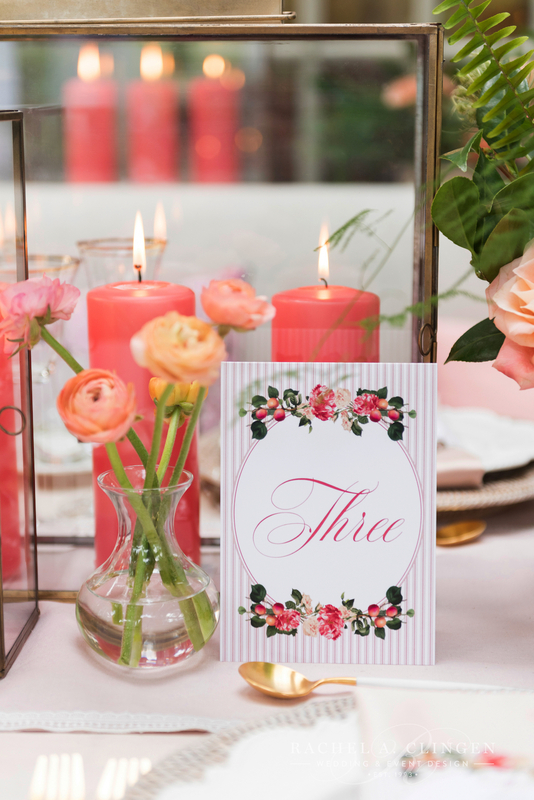 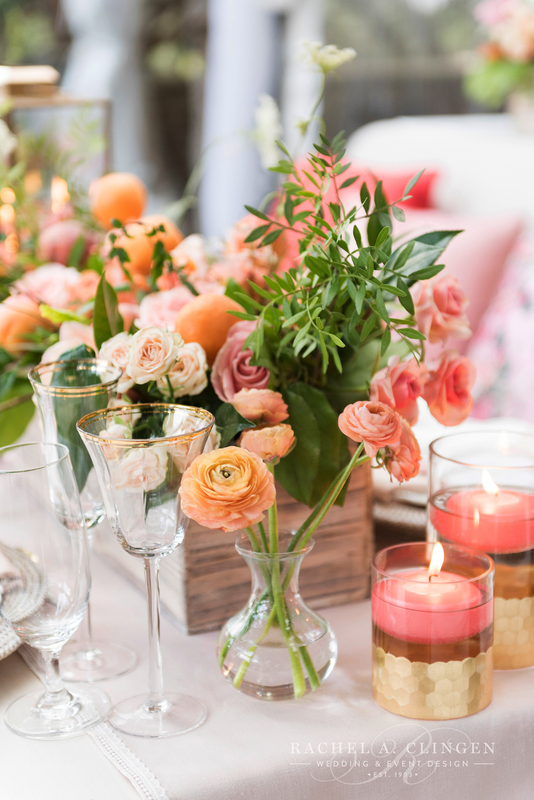 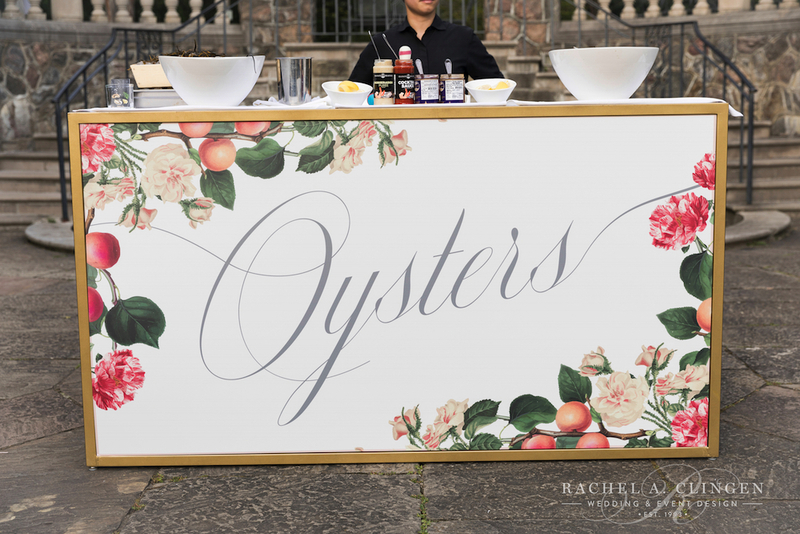 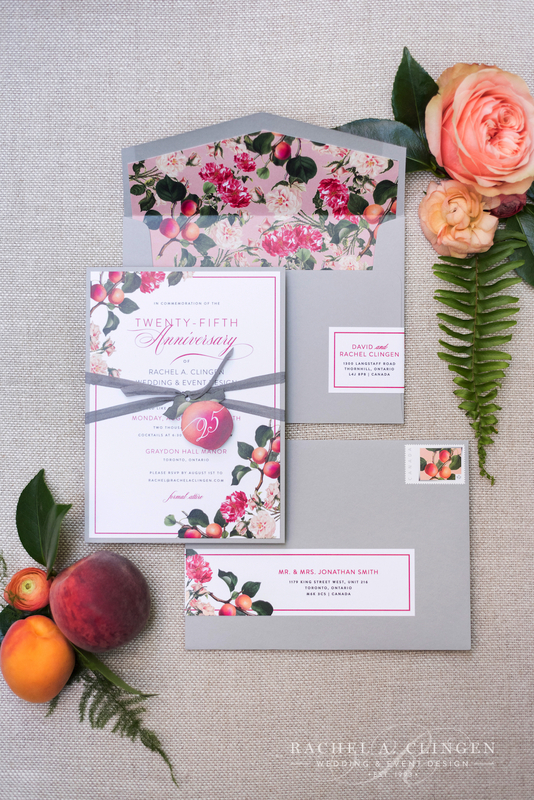 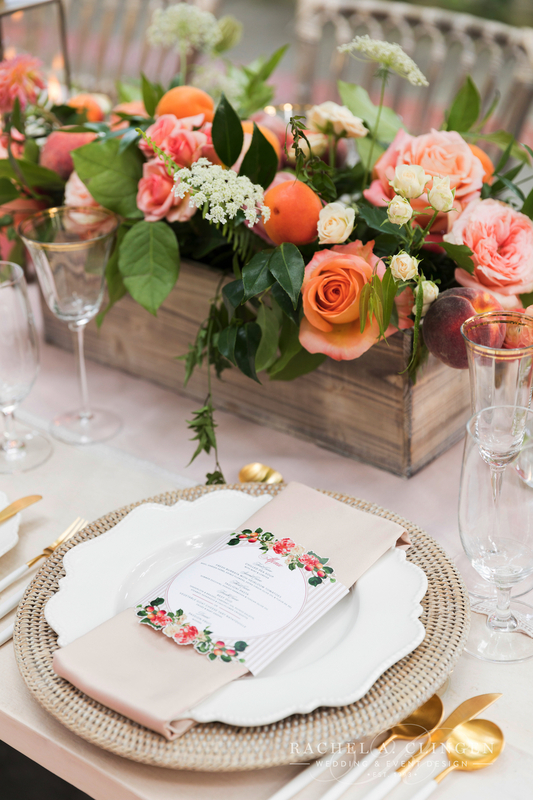 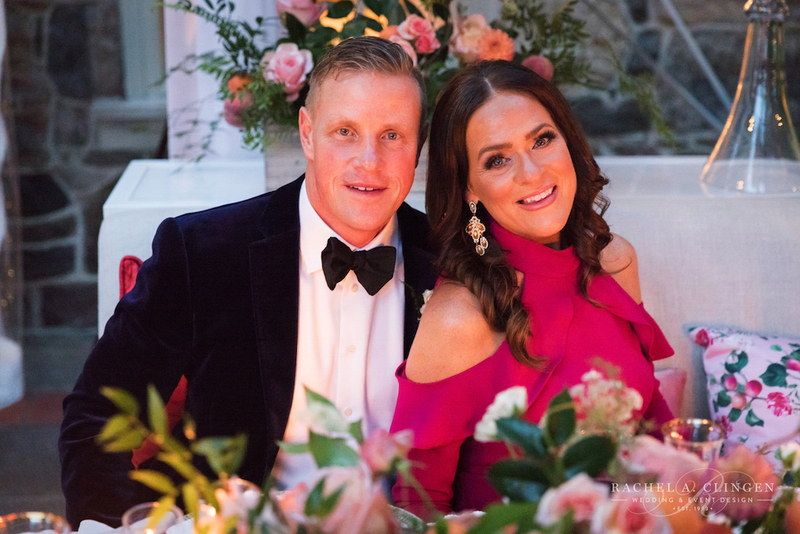 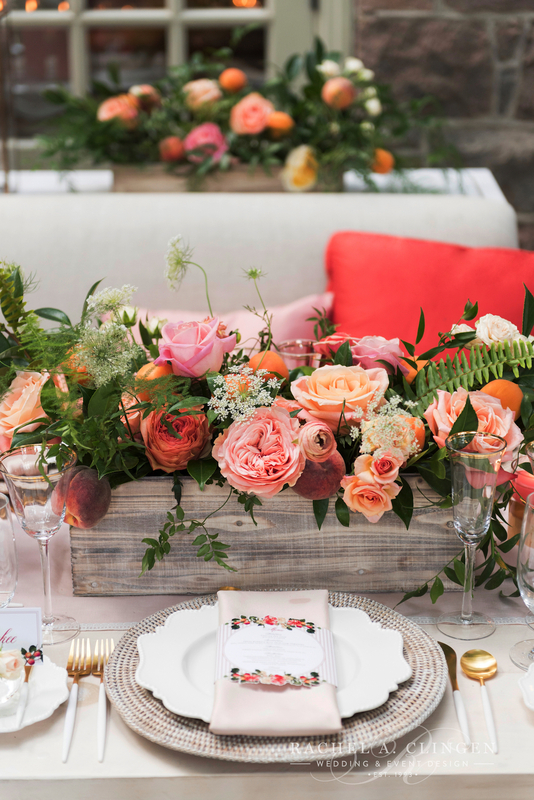 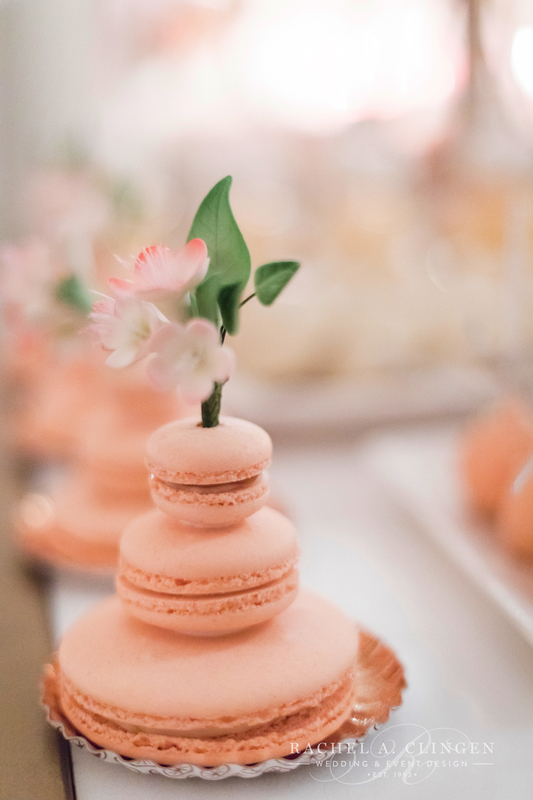 Guests dined under peach trees at long white washed gallery tables loaded with crates of peaches and flowers. 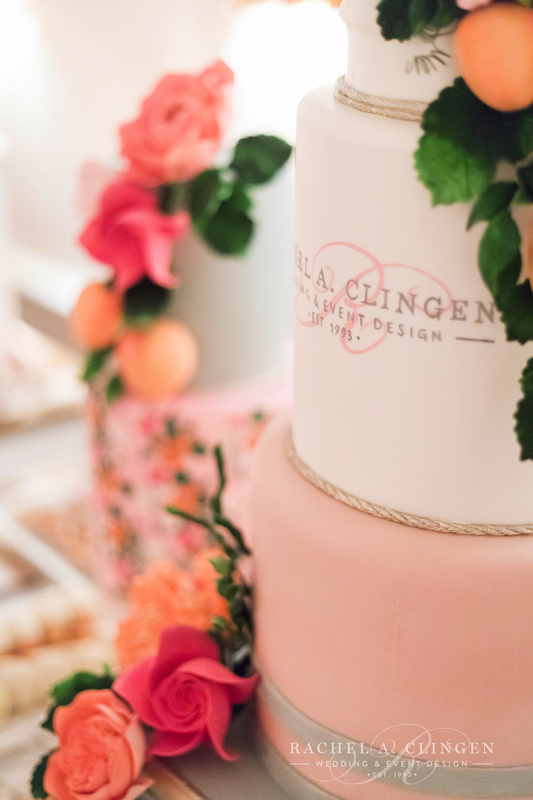 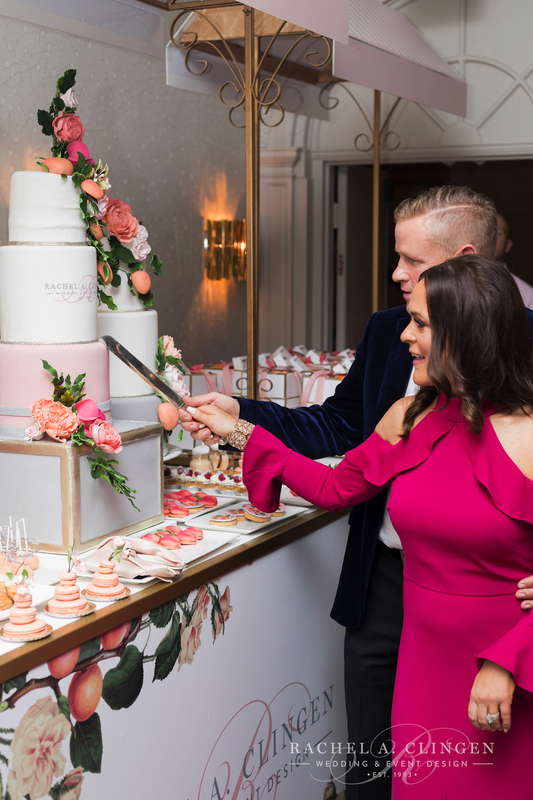 We were touched by the kindness of so many who contributed to the day by sharing their respective talents and products with us to make it such a special occasion. 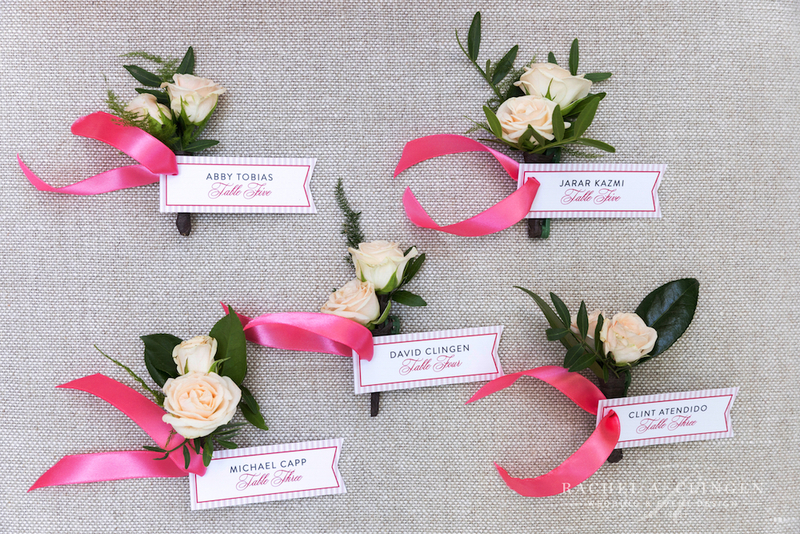 Every vendor mentioned in the credits below went above and beyond and we are truly touched by everyone’s generosity.